If you have an Apple Watch, you know how long the Apple Watch last, and then you need to recharge it. So like your iPhone you have a portable charger when traveling. You can also buy one of the best portable chargers for Apple Watch for your convenience. The following portable chargers for Apple Watch will never let your Apple Watch die, even when you’re on the road. Now, for your keychain we have one of the portable chargers for Apple Watch, which is small enough to be attached to it. 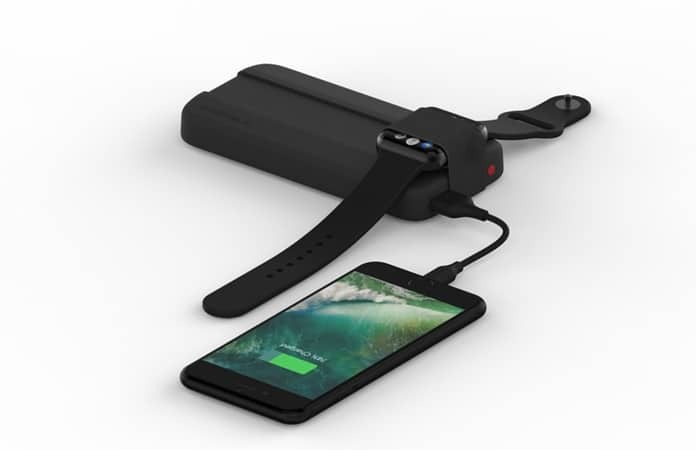 Now, don’t just go on the size of the portable charger as Griffin Travel Power Bank, can easily charge your Apple Watch 2.5 x times. The Griffin Travel Power Bank cost $39.99, and it is worth every dollar. You can just strap the battery to your traveling bag or keychain and you’re good to go. 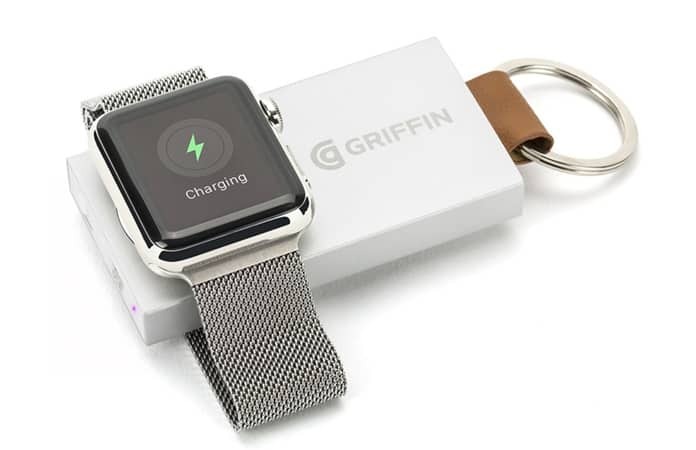 If you’re looking for a reliable, compact, and portable Apple Watch battery charger that’s small enough to fit on your keychain — but powerful enough to provide up to two and a half full charges for your Apple Watch — then take a peek at the Griffin Travel Power Bank Backup Battery. The ClearGrass Amber is not only a case for your Apple Watch but it is a portable charger. Just like AirPods, you can charge your Apple Watch by placing it inside the case. 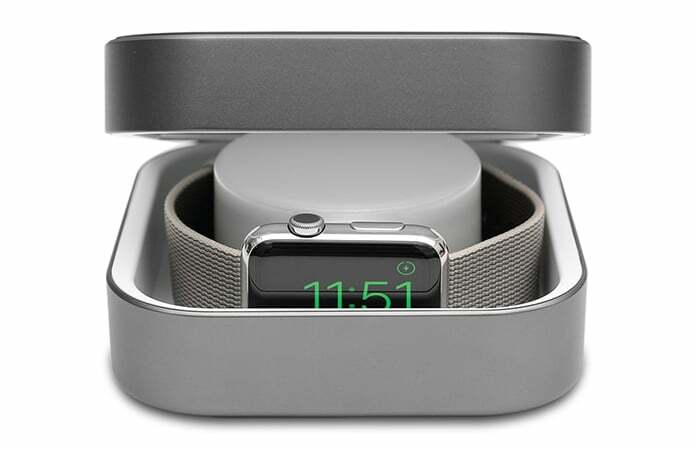 The case is also, secures your Apple Watch when charging and is compact enough to be in your travel case. It takes around 3 hours for a full charge but, will charge your Apple Watch to 80% just in half the time. The ClearGrass Amber case comes in silver, rose gold, space grey and gold matching with your iPhone and Apple Watch perfectly. The ClearGrass Amber Watchcase is priced at $79 and is also our Editor’s pick. For a slim, reliable and easy to carry portable chargers for Apple Watch, we recommend the BatteryPro. The portable charger is compact and thus can be carried with ease in your pants pocket. The size of the charger is similar to an iPhone 7. It also has a strap that keeps the Apple Watch secure when charging it. The BatteryPro portable charger for Apple Watch and iPhone cost $99. 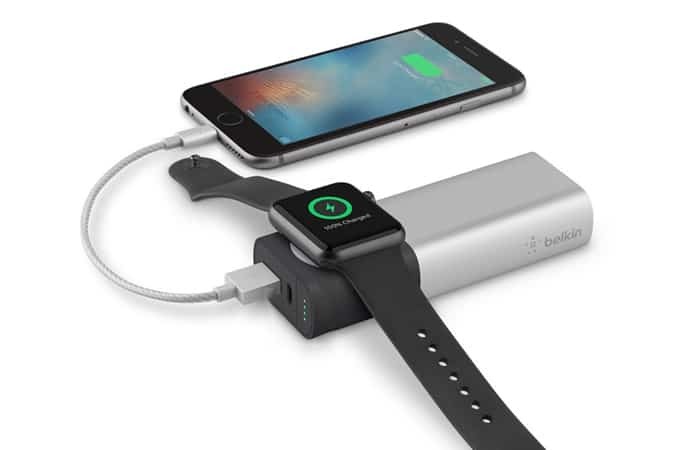 Among the other portable chargers for Apple Watch, Belkin Valet Charger is the most powerful. It was also given the honor at the CES 2017 for the Innovation of the Year Award. It can charge both your iPhone and Apple Watch simultaneously. The portable charger also comes with other features such as low-noise indicator, LED indicator lights, and temperature sensors, with an aluminum made. The Belkin is going to cost you $86.93 but it will charge your Apple Watch 8xtimes and iPhone 3xtimes fully. Topvision, among the portable chargers for Apple Watch, can also charge your iPhone. It is made to charge both your iDevices at the same time. With its magnetic top design, it will secure your Apple Watch when charging it. Topvision can charge your Apple Watch to full in just under 2 hours. 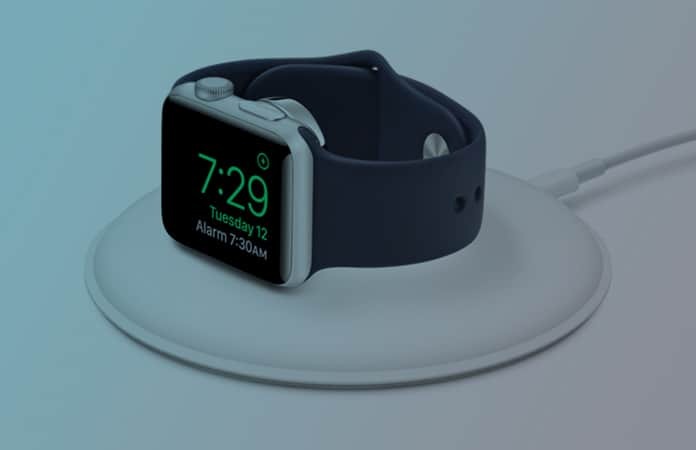 Topvision Apple Watch and iPhone Portable Charger will set you back $49.95. Also, it comes with a year replacement warranty for free. 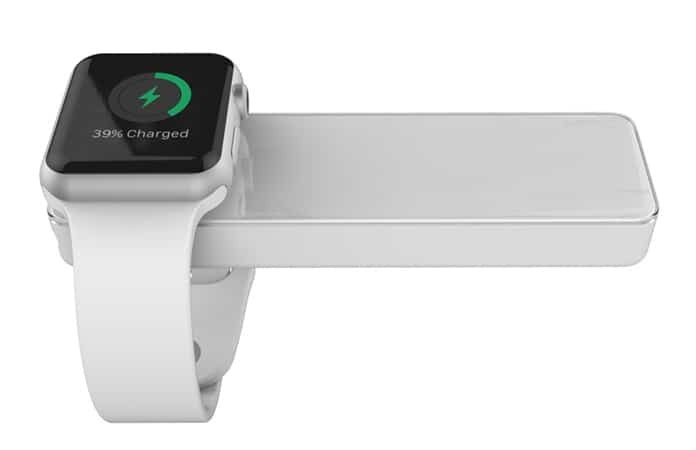 Hope the aforementioned portable chargers will help charge your Apple Watch while on the Go. Let us know in the comments below if we have missed any portable chargers for Apple Watch.